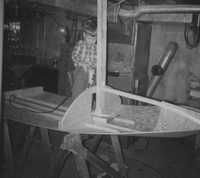 Boat Building at 3 Years old. 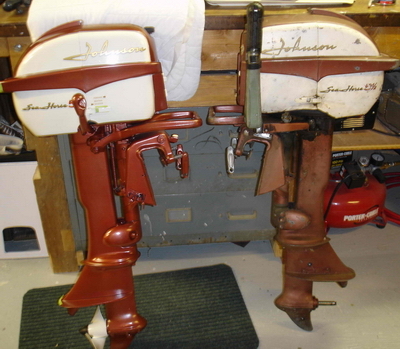 In the last 10 years I have restored many 50's and 60's Johnson, Evinrude, Merc and Chris Craft outboards, back to new condition. 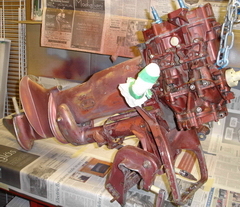 Restoring motors started as a favor for family and friends and developed into a very busy business. 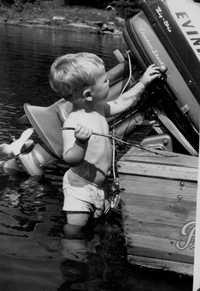 Clients from all over North America want that "boyhood treasure" that Dad or Grandpa had, restored back to perfect condition;or they need "that exact right outboard" to put on that newly restored boat; or to add an outboard to that "awesome outboard collection". Some clients have the motor in their possession or I provide the motor out of my inventory, or I source the motor if I don't have it. Click "Motors Available" to see what I currently have. One might be perfect for you!! 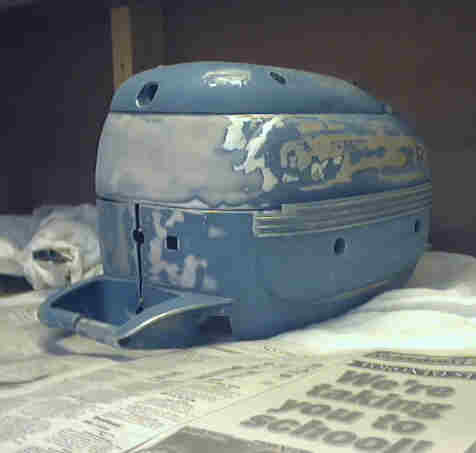 I have a fully equipped shop, including a paint booth, and I do all the work myself. Notice the tool I have selected for the Tune Up! The engine is inspected for any internal damage and parts are replaced if necessary. 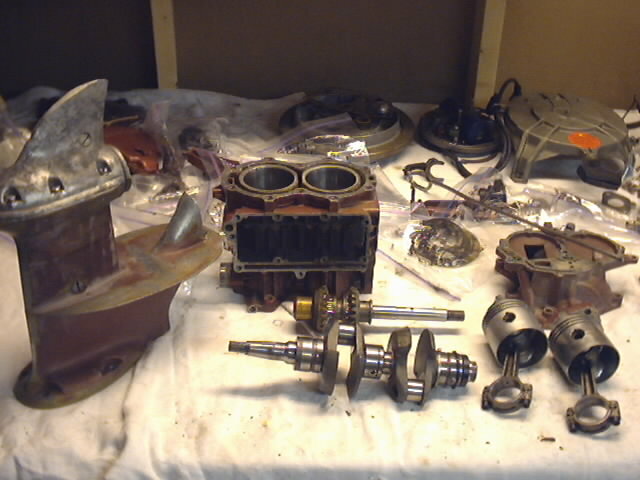 The cylinders are honed, new rings are installed and all new gaskets and seals are installed. I use only OMC parts, as they fit properly. The lower unit is disassembled, inspected, parts replaced if necessary, and all new seals are installed. 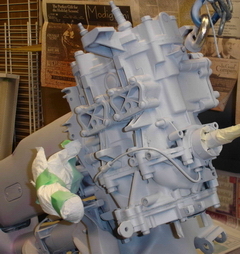 The motor is sanded or bead blasted and primed with self etching primer. Apply the decals and it's complete and ready to ship to you. 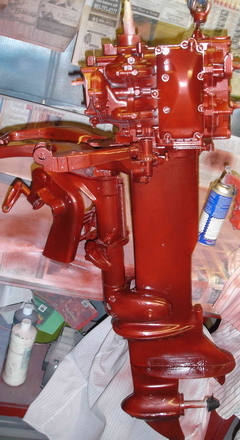 I ship restored motors all over North America in plywood crates that I make myself to fit each specific motor. See picture to the left of a recent shipment.